One of the joys of doing crossover ministry is that we do not have to do our work alone. Being a crossover church means that we as staff can share some of our responsibilities with each other. Gloria Wiese has created a small group curriculum called Fully Known, which covers a few ways that we can grow closer in community. I was delighted to help with one of the chapters regarding worship in community. Worship is primarily a God-directed discipline, but it is also a means by which God forms us into disciples. It can be a challenge to worship in community sometimes. We sacrifice comfort, preference, and style for the sake of worshiping in community. 1 Corinthians 12 gives us a vision of the Christian community, using the metaphor of a body, “just as the body is one and has many members, and all the members of the body, though many, are one body, so it is with Christ. For in the one Spirit we were all baptized into one body—Jews or Greeks, slaves or free—and we were all made to drink of one Spirit.” Through baptism, God’s beautifully diverse people are united by the Holy Spirit. It is God’s Spirit that allows lovers of choral anthems to sing along with contemporary praise songs. It is God’s Spirit that empowers God’s people to celebrate with shouts of “hallelujah!” as well as keep silence during confession. God’s Spirit contrasts with the spirit of consumerism that fills our world. Consumerism is hard to escape, even as Christians filled with the power of the Holy Spirit. It is easy to evaluate church services and wonder, “What did I get out of that? Do I feel fulfilled? Did I enjoy the music? Was the sermon compelling?” These are the kinds of questions consumers ask, and these are the kinds of questions that lead to division among a community. 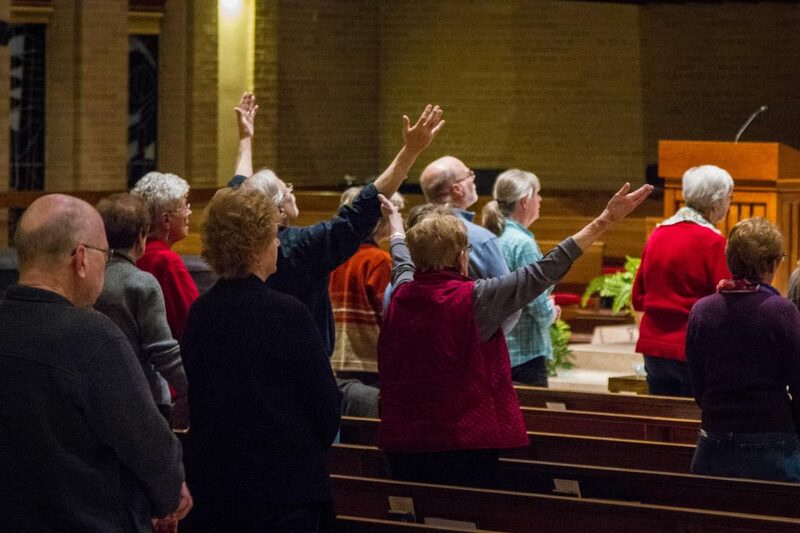 Spirit filled questions about worship might include, “What did God speak to me during worship? Who did I notice? How is God calling me to live? How might I offer my gifts?” These kinds of questions focus on God and our part in his kingdom. One of the great joys of worshiping together in one service this summer was seeing how so many people were united by the Holy Spirit to worship God. We all sacrificed our preferences as consumers this summer and celebrated worshiping God as one body. I believe that God brought us all closer together as a community as a result. Even as we move back to two services this fall, I encourage you to continue to worship out of your baptism, not out of your consumerism. In so doing, you will witness to the people around you that the power of God is at work in you. And if you are interested in diving more deeply into this topic, grab some friends and pick up Gloria Wiese’s new study, Fully Known, in the link!